Want to try something different for your throw pillows? Tired of the usual patterns and prints? Well, you can try photographic ones but you can also get throw pillow covers with creative and crafty designs. Not crafty? Well, you can get one from a local store or you can opt for those pillows with words and quotes on them. Throw pillows with type are not just stunning additions to a room but it bring in a personal statement because the text printed on these accessories will show your thoughts too. 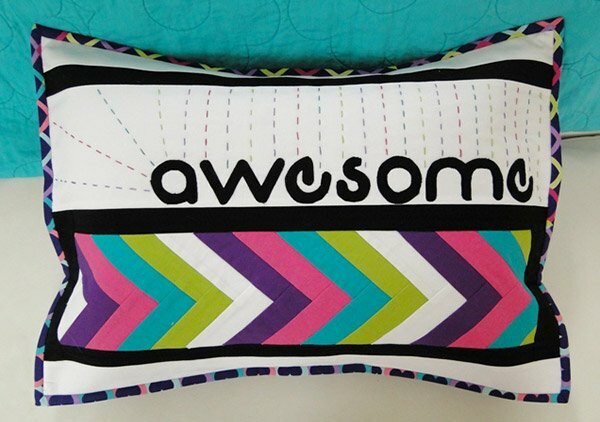 We have handpicked some throw pillows with printed words on them. You can check them out below. Once you are done, try to think of what words you would like to be printed on your very own throw pillow. You can make one if you want to with the inspiration you can see below. Seems like something heavy broke this pillow with some “hard words”. The art is well done in black and white. A cute pillow in pink with damask print. You can even choose the monogram you want for it. 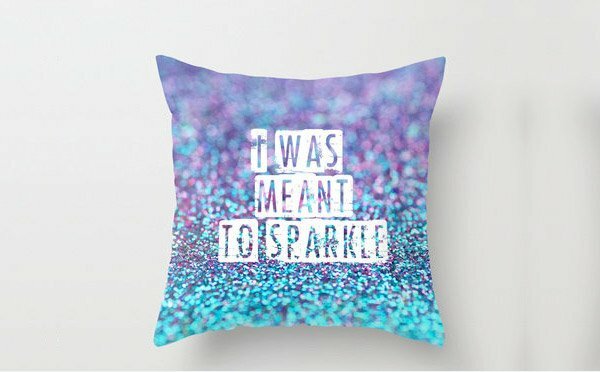 Add some sparkle in your room with this glittery throw pillow cover. 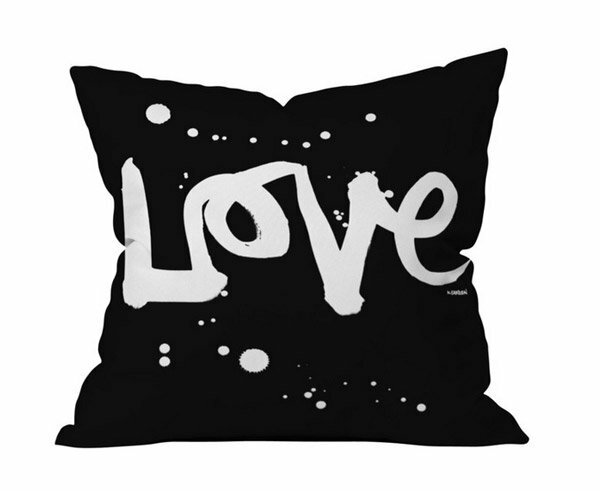 In graphic black and white throw pillow but you can no doubt show some love with this! 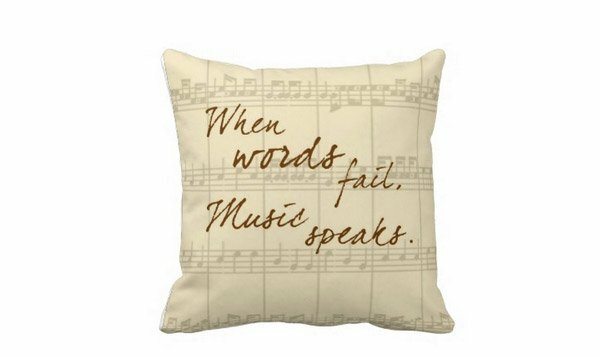 This one is not just perfect for you room but will surely be a music lover’s perfect choice! 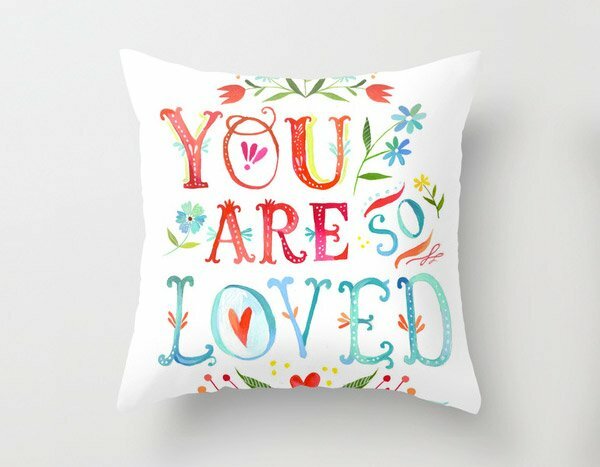 You would really feel so loved if you get a hand on this pillow! They look totally cute too! This pillow is a charmer and could be a perfect accent to any room. The floral design doesn’t look boring but is instead stunning! 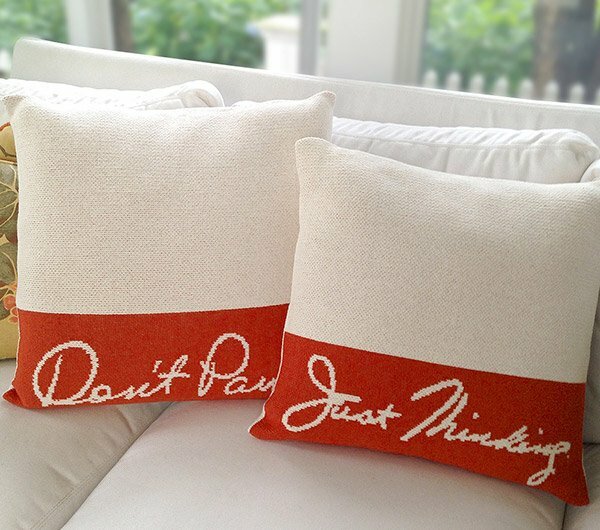 Throw pillows where two sayings from the designer’s mom were printed. 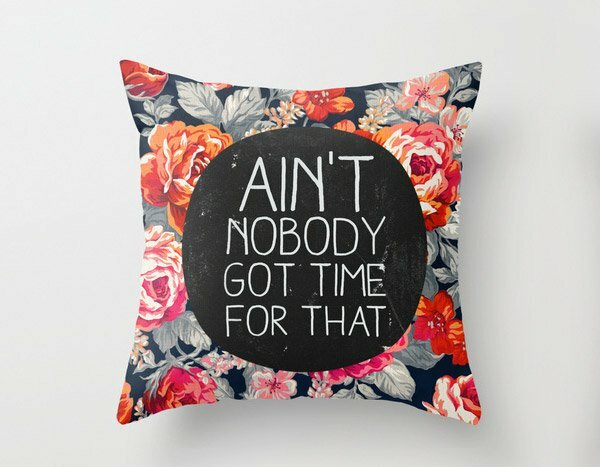 If you like this song, then you will also love this pillow. We find this pillow so cute! If you want to get one like this, check out the tutorial from the designers blog. Isn’t this a good idea? 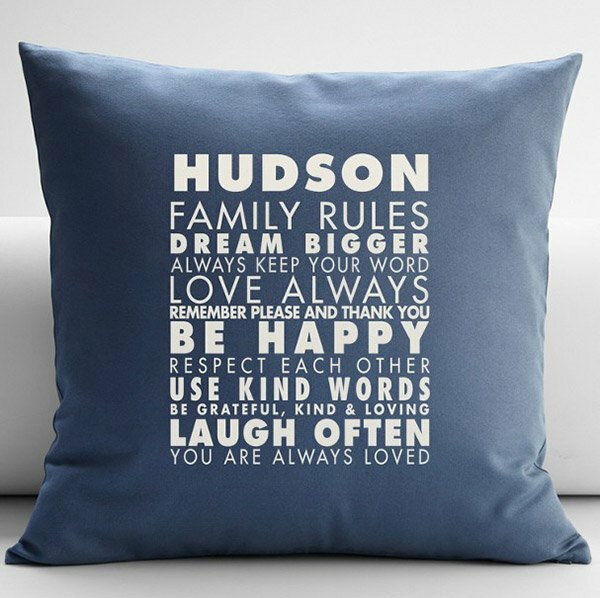 Printing the family rules on a pillow is cute and could be a creative decor to your home. 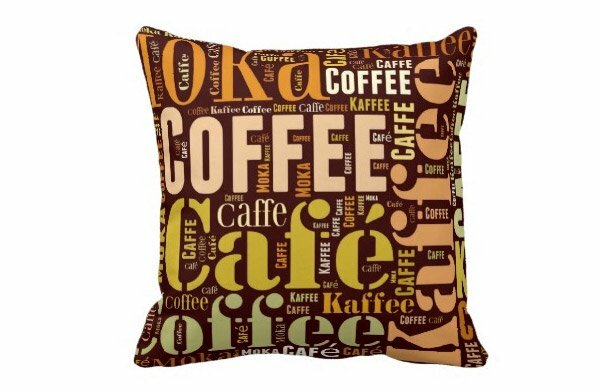 Coffee lovers will adore this pillow! We are even thinking that it will also be perfect for a coffee shop. 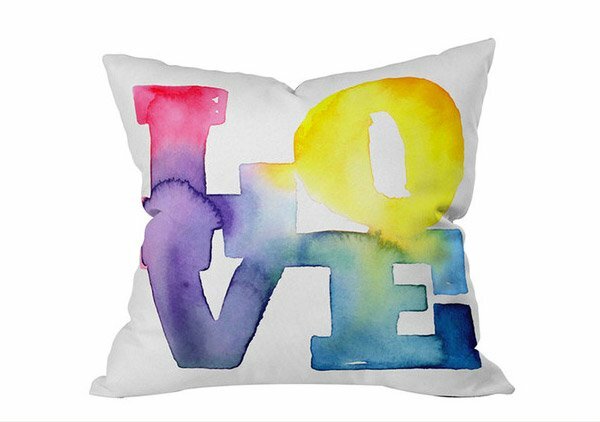 Want a different type of throw pillow with the word love? This one might suit your taste. Why worry? 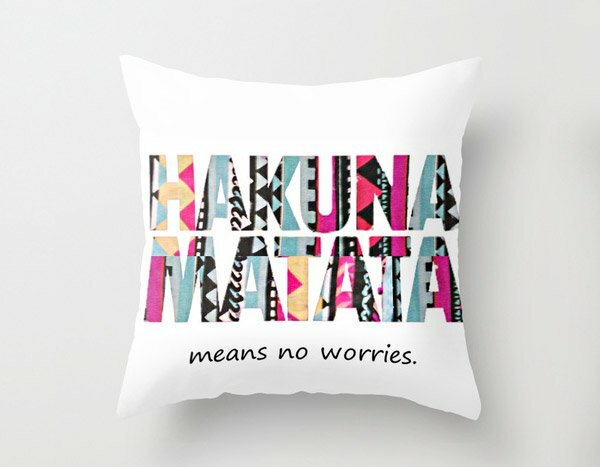 Live with the saying Hakuna Matata and let this pillow remind you that. A lovely quote isn’t it? 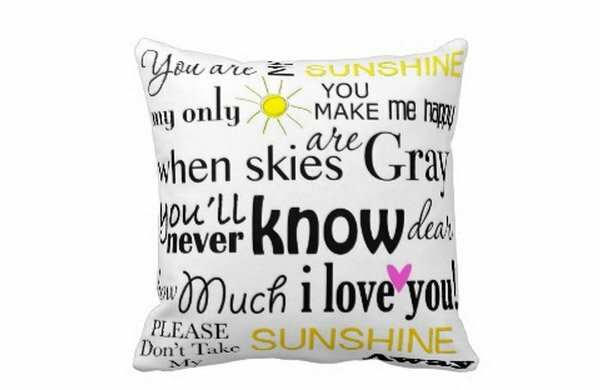 This is one pillow that we like too especially that it has a wonderful message in it. 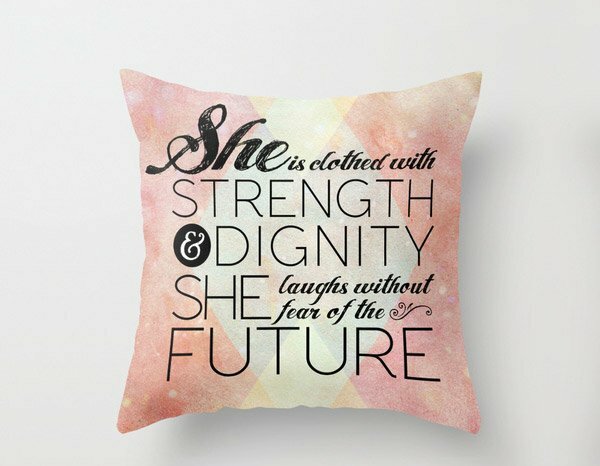 These throw pillows with quotes or merely a word printed on it could give your room a personal touch especially if you have chosen the text yourself. Well, there are still so many throw pillows with type on them and what you see above are just some of those lovely pillows. Want to see more throw pillows? 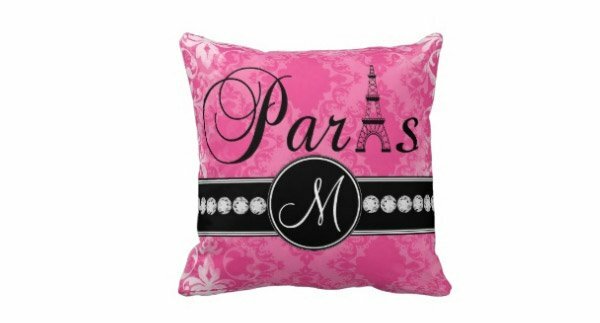 Check out various throw pillow designs or modern throw pillows if you want a modern touch to your room. I like the throw pillow of Deny.. This is a great gift for our love ones especially if it contains a good printed message. It’s only a square shape object but because of the designs,it becomes especial. I’ve seen in a television selling this kind of pillow and it’s really expensive to have a personalize design. I like the COFFEE Throw pillow. 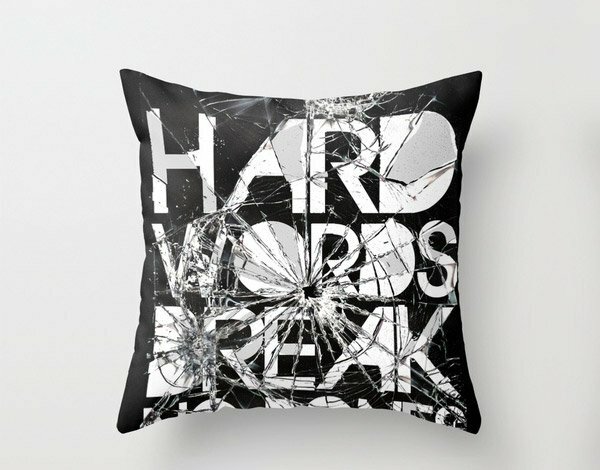 HARD WORDS really looks like a broken glass,cool! Nice collection for decoration,so soft!! Stylus w/ a good sense..